Heart-shaped leaves, bronze when new, rich green through the summer, and yellow in the fall, emerge after bright magenta flowers fade. 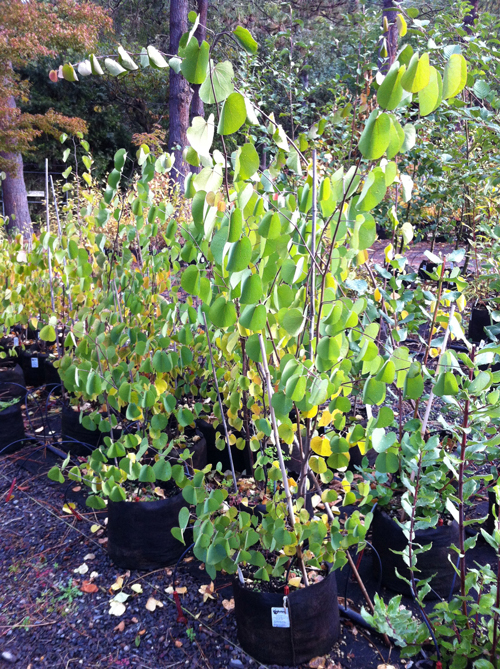 Redbud is a good understory tree, effective in naturalized areas or as a single specimen. Use it in sheltered, warmer microclimates. Give it deep, fertile, well-drained, loamy soil in sun or light shade and provide regular water. Conifer Size 3 ft. 4 ft. 5 ft.